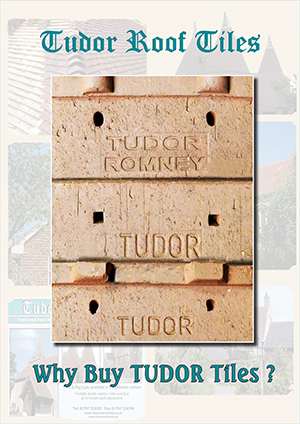 Number 7 of our info leaflets entitled ‘Why Buy Tudor Tiles?’ has been published and is available from Tudor in both electronic and printed format. With so many roof tiles available in the UK, what puts Tudor tiles ahead of the others? This leaflet lists the most important questions that you should ask ANY supplier of roof tiles within the UK.